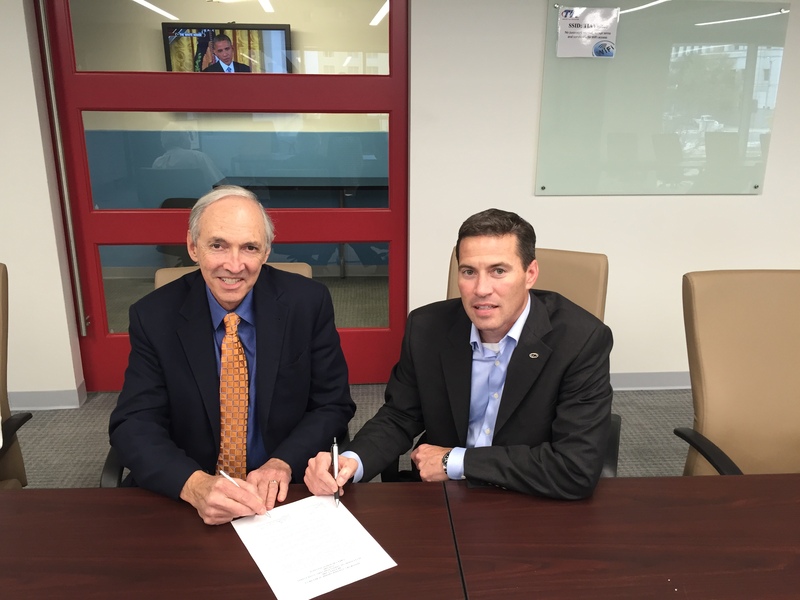 The STEP Foundation (STEP), a nonprofit organization dedicated to providing technology industry benchmarks for sustainability practices in the built environment, and the Green Building Initiative (GBI),a nonprofit organization committed to accelerating the adoption of sustainable building practices, have signed a Memorandum of Understanding. STEP and GBI, the organization behind the Green Globes building certification program, will work together to accelerate the adoption of green building practices, respond to public policy directives, and develop joint standards for sustainable information communication technologies (ICT). The organizations share a commitment to promote the development of sustainable industries nationally. To accomplish their shared mission, the groups are exploring the development of joint training and webinars for educating building industry professionals. STEP and GBI will also facilitate cooperative activities including the promotion of harmonious standards, a newsletter exchange and an ongoing dialogue between members and industry leaders. An October 2014 U.S. Department of Energy ruling recognizes Green Globes as one of only two acceptable green building rating systems for new Federal buildings and major renovations. This new Federal rule presents an opportunity for information communication technologies to be considered in the certification of sustainable buildings. Both organizations believe that sustainable certification must be standards-based, and will cooperate in developing joint ANSI-approved standards based on ANSI consensus procedures. “As we start to develop a new generation of ‘smart’ buildings, the link between green building and ICT needs to become stronger, if we are to realize the potential of low-carbon, high-performance design,” said Jerry Yudelson, PE, President of GBI. About The STEP Foundation - The Smart and Sustainable Technology Environments Program (STEP™ Foundation) is a 501(c)(3) not-for-profit organization dedicated to providing technology industry benchmarks for sustainable energy and materials practices. The organization provides education, policy and standards for the design and integration of ICT into a smart and sustainable building infrastructure. To learn more about the STEP Foundation visit www.thestepfoundation.org.